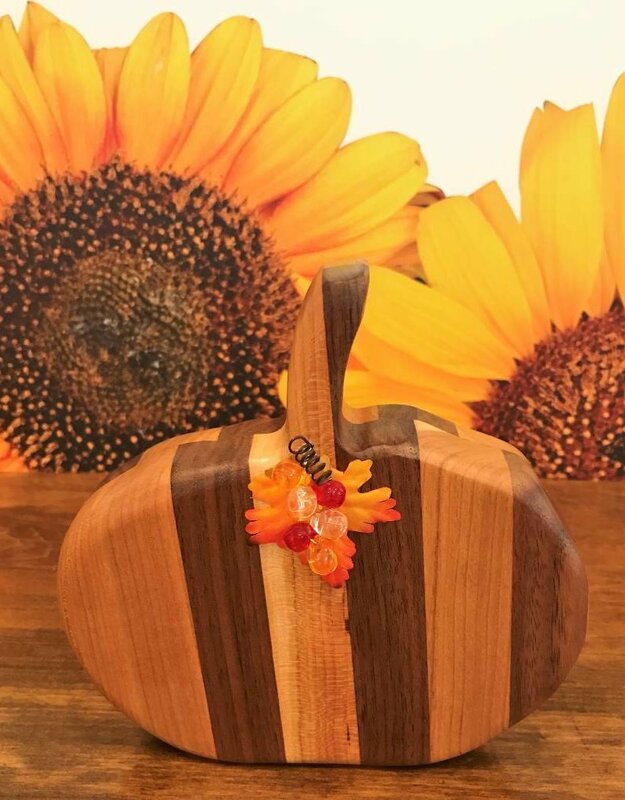 This adorable wood pumpkin is made of a cherry/walnut combination and adorned with fall festive beads. 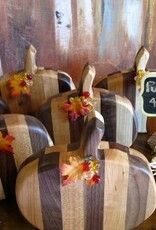 What a perfect gift for your Thanksgiving "hostess" or for decorating your mantle, table or desk at work! 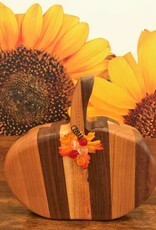 Pumpkins are approximately 6 1/2" wide by 6 1/2" tall and 1 1/2" thick. 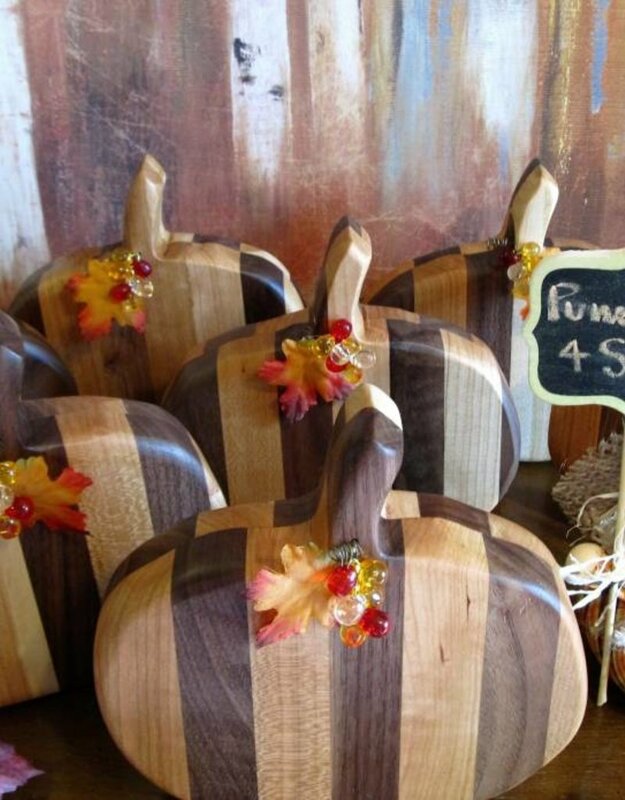 Actual dimension may vary slightly as they are individually handcrafted.